Best of British: Get ready to rumble with Cunard vs. P&O Cruises! Almost two million Brits set sail in 2017 meaning it’s safe to say we’ve become a nation of cruise lovers – and we’re certainly not short of choice when it comes to finding that perfect holiday at sea. But when it comes to British cruise lines, there are two who stand tall in my mind. These are, of course, Cunard and P&O Cruises (with apologies to the other great British cruise lines – I’ll sail you one day!). Being lucky enough to have set sail across the Atlantic on two of Britain’s most high-profile ships in 2018 (Britannia and Queen Mary 2), I figured why not inspire a bit of healthy competition and pit these two cruising giants against one another. But who reigns supreme when it comes to serving up the ‘Best of British’ at sea? It’s Cunard vs. P&O Cruises – let battle commence! 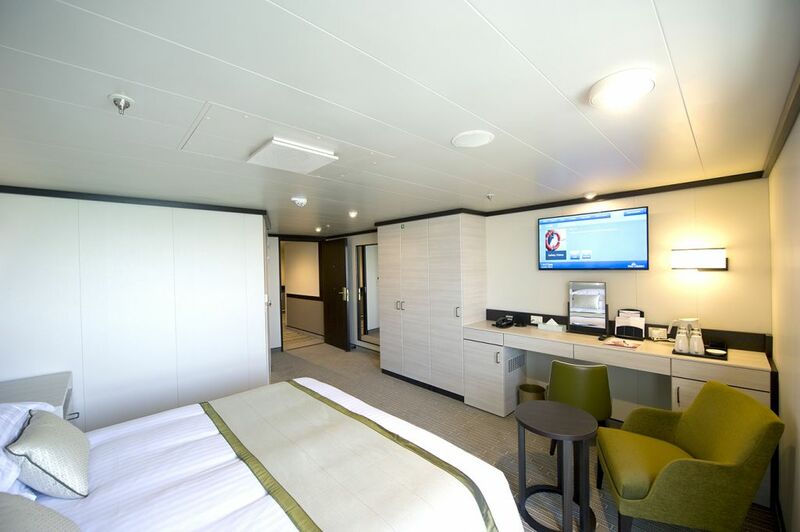 When it comes to cabins both P&O Cruises and Cunard have a similar offering up for grabs; ranging from great value inside cabins through to ultimate suite luxury. No matter which you pick they are kitted out with those all-important essentials, including tea-making facilities and UK plug sockets as standard. Talking of tea, you’ll be pleased to hear that a decent brew can be found on both lines. P&O Cruises offer the people’s favourite of PG Tips as standard while Cunard weighs in with the slightly more refined Twining’s. So far, so evenly matched? Yes, but the difference is the little extra luxuries found on board Cunard – even in the most basic of cabins. A half bottle of sparkling wine greets you upon embarkation and you’ll also receive bathrobes and slippers for that added comfort. Daily fresh fruit is available on request and, of course, there’s that very enticing 24-hour complimentary room service to make use of – all aspects which come as standard when sailing with Cunard. Arguably one of the most important factors of any cruise holiday, food is something never far from our thoughts when at sea – or not from mine anyway! 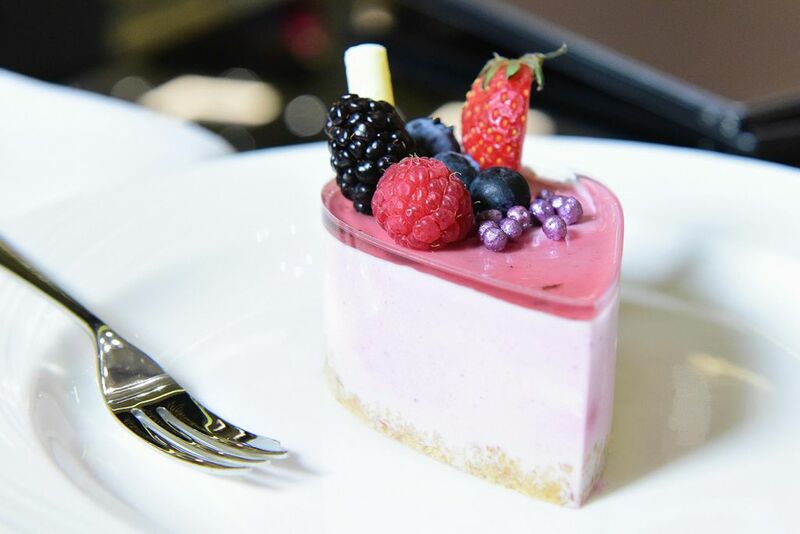 When it comes to quality, there is no doubt that Cunard excels beyond measure, even the buffet food is of such a high standard you’d be pushed to find fault. However, in terms of variety and choice, P&O Cruises begins to shine. Not only is there the option of ‘Freedom Dining’ for all guests no matter your cabin – only guests staying in the premium Britannia Club or Grills Suites with Cunard have access to flexible main dining – but the choice of dishes served and the array of venues to eat in certainly provides more than enough variety. Speciality dining options range from the relaxed Beach House (where you can have a crack at cooking your own steak on a lava rock) to the British-Indian fusion of Sindhu (the thattukada duck roast is an absolute must). But Cunard do provide some stiff competition on the speciality dining front. A revolving themed evening menu can be found in the Kings Court that includes Mexican, Indian, Italian and Asian cuisine. However, if you are looking for fine dining at its most refined, The Verandah is a definite highlight and provides one of the best dining experiences (and steaks!) at sea. 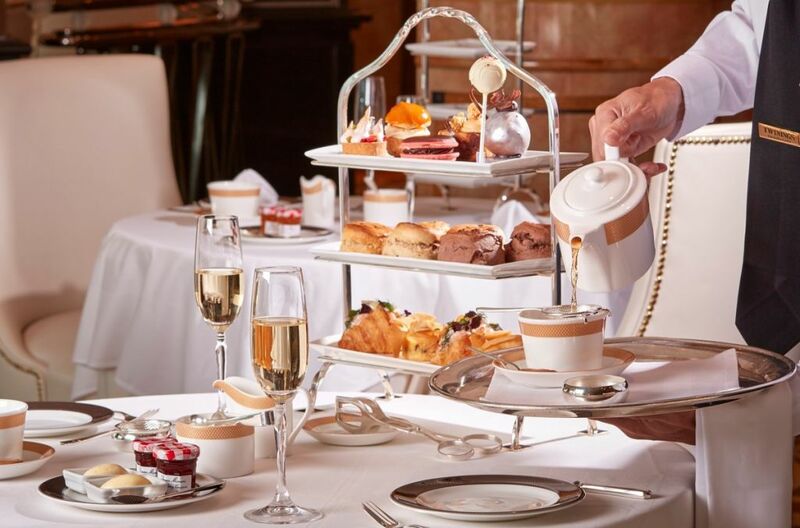 And, while Afternoon Tea is available on many lines, no-one surpasses Cunard on this quintessentially British tradition. 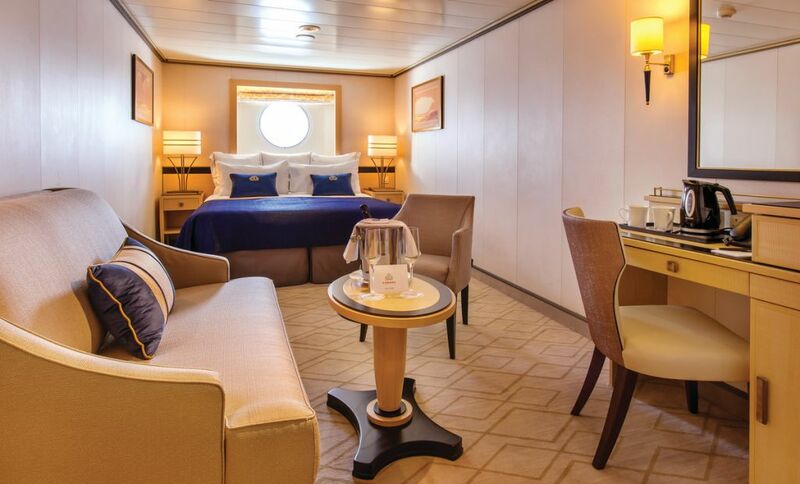 White gloved service, delicious, fresh sandwiches and cakes ­– all set in the grandeur of the Queens Room onboard. There’s no denying that the selection (and price!) of drinks onboard is quite important to us Brits. Both P&O Cruises and Cunard have a wide selection of British and international drinks, including speciality teas and coffees, ales and larger, as well as a vast array of wines, cocktails, spirits and digestifs. 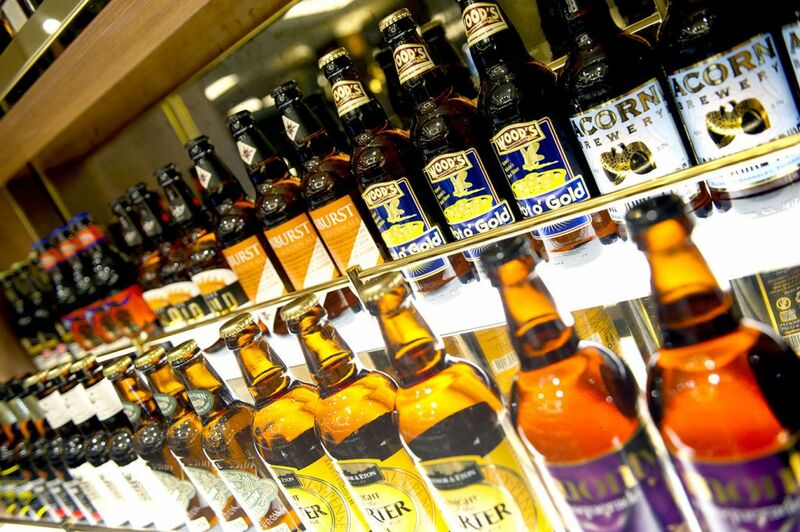 Although not my cup of tea, when it comes to British ales, P&O Cruises have a selection unparalleled at sea. Options include Punk IPA from independent brewery Brewdog through to good old Dorset Tanglefoot and everything in-between. Cunard, however, takes the flag where cocktails are concerned, with enviable creations found throughout their fleet. Revel in the delights of the night menu in the Chart Room where an array of specially crafted Zodiac cocktails awaits as you look to the stars for inspiration. When it comes to price there is a clear leader, however, with P&O Cruises providing better value-for-money. Not only are Cunard’s prices higher, but there is also a 15% gratuity added to all bar charges, which Cunard advise cannot be waived. Coupled with the discounts given to loyal P&O Cruisers, there is no comparison. At the heart of cruise travel for most is the service and attention to detail that envelops your time onboard. From welcoming smiles to those bedtime chocolates, the little touches make a world of difference. 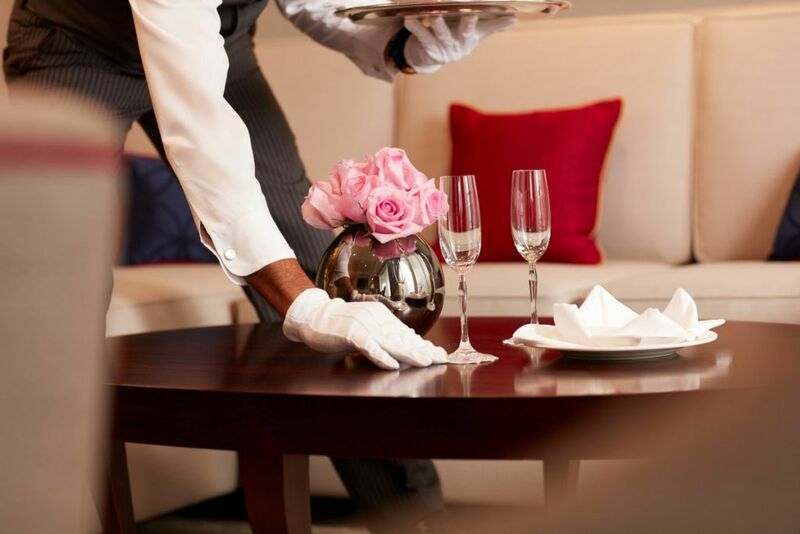 P&O Cruises and Cunard both promise exceptional service throughout your voyage ensuring you feel valued and indulged. But it is Cunard’s famous White Star Service that sets them apart from the crowd. All staff and crew are expertly trained at Cunard’s White Star Academy to provide outstanding service that is unique to Cunard and surpasses all expectations. This certainly echoes throughout every space onboard where nothing is too much trouble. The care and attention given to every conversation, action and service shines through with ease and generosity – no matter what time of day. Both lines provide an interesting and varied selection of entertainment to keep you amused when at sea. From social gatherings to card games to dance classes to quizzes, bingo and beyond, there’s no shortage of choice. Evening entertainment is also pretty equal with good quality and varied productions, shows and musicians found on both. While P&O Cruises have the edge on their West End-style productions, which seemed more polished, Cunard provide more variation in terms of instrumental music around their ships, with live pianists, string quartets, jazz music and even a harpist found onboard, which is right up my alley! Why ‘crazy’ you say? Well, believe it or not, despite both lines having a storied British heritage, the currency onboard Cunard’s entire fleet is actually US Dollars – there’s not a pound in sight! A representative from Cunard confirmed that the dollar is favoured over the pound as it is perceived as more international. This means you have conversion rates to consider, the possibility of bank charges being applied when registering your UK card and the mild inconvenience of having to work out what everything costs in ‘real’ money. Cunard do, however, change this to sterling by request, but will charge 3% to do so. P&O Cruises win this bonus round with currency onboard being firmly set in the Great British Pound. 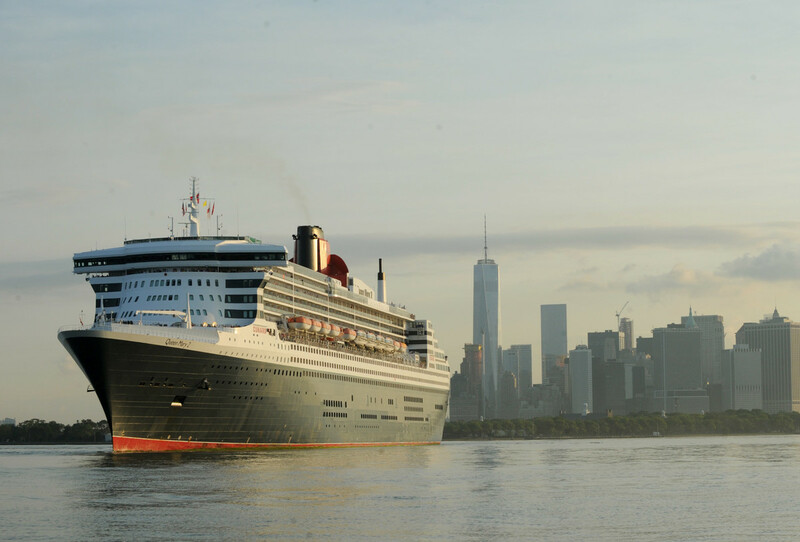 Cunard and P&O Cruises both have lots to offer cruisers both young and young at heart. Cunard carry a higher price tag but have an air of elegance, tradition and luxury about them, whereas P&O Cruises provide unsurpassed choice and variety, great family activities, all while being friendlier on the bank balance. Do we have an ultimate winner in our battle to find the very best of British? We’ll let you decide. Daniel Bradley is The Cruising Baker who writes about his two passions: cruising and baking! Check out his blog to read more of his work. Cruise Shore Excursions: Should you book independently?